Ascending Butterfly: Today's Words of Inspiration - Can you show love to your enemy? Today's Words of Inspiration - Can you show love to your enemy? 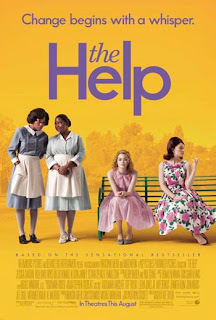 Last night I had the chance to attend the NYC Press Screening of the Dreamworks movie, The Help, based on the novel The Help by Kathryn Stockett. I can't really discuss it yet, so you will see my full review on Tuesday, but I selected this quote for Today's Words of Inspiration because I thought it was incredibly powerful in general, as well as the context in which it is used in the movie itself. Today's Challenge: Love your enemy! I'm not going to pretend this is easy. When someone hurts you, it's totally understandable that your first reaction is to lash out. To fight fire with fire. Just remember if you truly believe my favorite quote 'Attitude determines Altitude' then you know that your good energy, begets good energy. If you allow your heart to be filled with hate, be it for a situation or a person, you are filling yourself with negative energy. An energy that harms YOU, more than the person you are harboring that energy towards. Today's Breathing Affirmation: Close your eyes, take a deep, slow breath in through your nose, and affirm "I give and receive love energy." Before logging out for your weekend fun, if you haven't already done so, please enter our latest giveaway with Jockey - 3 winners winning a top and bottom from their new StayCool Collection HERE. August's Bag in our monthly 'Featured Handbag in the Spotlight' will be posted this Monday! Have you ever forgiven an enemy?